What Are The Health Benefits Of Eating Crab During Pregnancy? Can You Eat Snow Crab Legs While Pregnant? What Is The Recommended Crab Amount For Pregnant Women? Crabs are one of the tastiest seafood. They are also nutritious because crabs contain proteins and Omega-3 polyunsaturated acids but no saturated fat. But are they good during pregnancy? Many good things become not-so-good during this time. However, this is not the case with crabs. The good news is that the US Food and Drug Administration (FDA) has marked crab as healthy for expecting moms (1). Momjunction helps you understand what factors make crabs right for pregnancy diet, and shares a few healthy recipes to try. Yes, you can eat crab as long as it is hygienically made and properly cooked. Crab products such as crabmeat, sushi or sashimi are a big no-no. These products are not properly cooked and might harm you and the baby. You should not eat the organs and guts of shellfish and fish as they may have high levels of mercury. 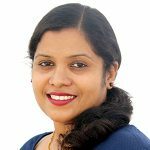 The most significant risk with eating seafood during pregnancy is that they contain natural pollutants like PCBs (polychlorinated biphenyls), mercury and dioxins. Also, the FDA states that frozen crab products risk listeria contamination. Check with your healthcare provider before consuming crab, especially when your cholesterol levels are not under control. You have to be careful when choosing crabs as your already overloaded immune system will have to struggle to fight with the harmful substances. 1. Choose king crabs: The most secure choice of seafood during pregnancy is king crab. Other popular varieties include blue crab, snow crab, and Dungeness crab, but these are not considered as safe as king crabs because they are high in mercury. Mercury can affect the development of fetus’ brain and nervous system, and cause certain health complication in the mother as well. 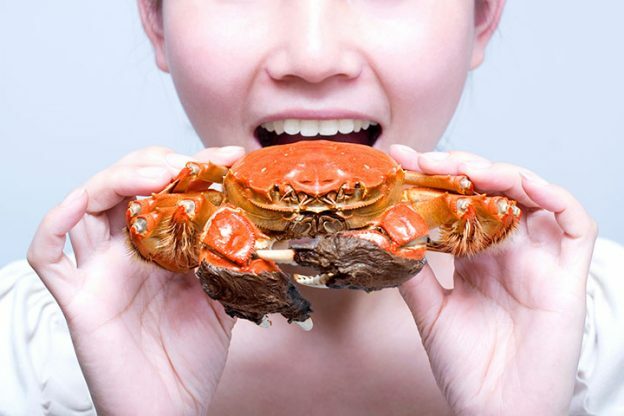 Though crab is one of the low mercury seafood (2), you need to take it in moderation. 2. Take advice from fish advisories: Contamination levels vary from one waterbody to other. You should be wary of any fish or crabs caught in local waters. Therefore you have to check with the guidelines and local fish advisories whether the crab is safe to eat or not. 3. Avoid raw crab or precooked crab dishes: Raw crab or pre-cooked crabs could be infected with microorganisms and parasites that can cause food poisoning. They affect not only the mother’s health but also the child’s development. 4. Do not eat undercooked crab meat: Undercooked meat is as hazardous as raw meat. So, never eat crab if it is cooked insufficiently. In properly cooked crab, heat destroys the harmful microorganisms and parasites. 5. Do not eat frozen crab meat: Frozen meat should not be consumed as it is prone to bacteria. According to Colorado State University, you can choose crabs stored in a sealed can or a pouch. 6. Handle in a hygienic way: Wash all the cutleries, utensils and food prep area before and after handling the raw crabs. You should use separate knives and cutting boards. Store the leftover food in an airtight container in the freezer. Discard any stale food that has been left out for more than two hours at room temperature. Even as you give in to your food cravings, weigh the goodness of the food you eat during your pregnancy. Here are the benefits of eating crab but consult your doctor before eating it. Crabs are a rich source of omega 3 fatty acids, protein and vitamins A and D. Therefore, eating crabs during pregnancy will promote your little one’s overall development. Amino acids and antioxidants in crab meat help in improving your energy and immune levels during pregnancy. Crabs contain healthy levels of iron. Iron protects you from pregnancy anemia. It also helps maintain healthy hemoglobin levels in the baby after delivery. The rich calcium levels promote bone and teeth development in the unborn child. Crab meat is very low in calories, which is good because you can eat without any worry about gaining weight. Expectant mothers with normal or low cholesterol levels can eat crab while those with high levels need to check with your doctor if crab is safe to eat. Crabs also contain folate, an essential vitamin you should include in your diet. Folate helps prevent any neural tube defects. Snow crab legs contain a little amount of fat that is sufficient for your body’s everyday needs. But, it also contains high sodium levels, which could be harmful if you take in excess. Therefore, you should make sure you cook them properly with healthy toppings. You can cook them by steaming, boiling, barbequing or frying but they cannot be eaten half-cooked or raw. Also ensure not to cross the RDA. What Is The Recommended Amount Of Crab For Pregnant Women? Pregnant women can take up to six ounces of crab twice a week (3). King crab contains lowest mercury levels and it is the best option. Other crabs like blue crab, snow crab, and Dungeness crab contain higher levels of mercury, and therefore you should consume less than six ounces of these crabs per month. To be on a safer side, avoid these varieties during pregnancy. Once you check with your doctor and have a confirmation that it is safe for you to eat crab, try some delicious crab recipes we list below. 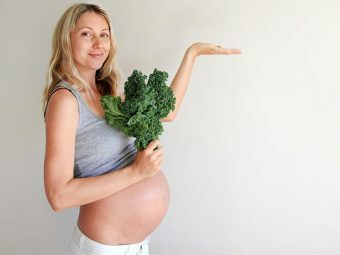 If you feel there are any ingredients that you are not eating while you are pregnant, or the ingredients can make you feel uncomfortable, make sure to substitute it with something else. In a big pan, heat the oil and add the flattened crab cakes one by one. Do not add too many at a time, as it will make it difficult to turn the cakes in the oil while you are frying them. Cook it on one side till it turns golden brown, and then flip to the other side and fry till it turns golden brown too. Now add the crab meat into the mix and toss up again. Using your hands, take the mix in your palms and roll it up into small balls. Now flatten the balls to form small cakes. Mix 1/3rd of the bread crumbs, the green bell pepper, the red bell pepper, the green onions and the parsley in a big bowl. Add the egg whites, the mayonnaise, the lemon juice, the Worcestershire sauce and the Dijon mustard. Next, add the seasoning and the dry mustard and give it all a toss. Now add the onion powder and mix it all up again. Make sure you mix everything well so that everything is coated in properly. Place the remaining breadcrumbs on a plate and roll the crab cakes in the bread crumbs to get a crunchy texture once they are fried. Take the cakes out of the pan and dry them on a paper towel before serving. Add water in a large pan and bring it to a boil. Once the water starts to boil, add the crab legs and the corn in the pan. Keep boiling it till the corn has turned tender, and the crab legs turn opaque and are flaky. Sometimes, the crab can finish cooking before the corn does, so make sure you keep checking about once every five minutes for the same. Once it is done, drain off the water. Using a sharp knife, make a slit in each of the crab leg shells so that it is easier to eat. In another pan, melt the butter and add the garlic, the red pepper, and the seasoning. Stir it all together and then add the cooked crab and the corn. Mix everything well and sauté it for about five to ten minutes. Take a bowl and add the cream cheese, the onion, the dill, the parsley, the garlic and the lemon pepper. Make sure you give it a nice mix to stir the spices together. Now add the crab meat and mix it all together again. Cover the mix and place it in the refrigerator for about two hours. Take a sharp knife and make horizontal slices in the center of the chicken breasts, to make a sort of pocket for the filling. Once the pocket is created, take the stuffing you made using the crab meat and fill it in the chicken opening. In a plate, place the breadcrumbs, in a separate plate place the flour and another plate place the eggs. Dip the chicken pieces in the flour, and then dip it in the eggs and lastly, roll it around in the plate of bread crumbs. Make sure you cover the chicken pieces completely while dipping them in the three plates. Place a pan over heat and add the butter and oil. Once the butter melts and the oil heats, add the stuffed chicken breast pieces to the pan. Cook one side till it turns a nice golden brown. Once it is done, turn the piece over and cook it till the other side also turns a nice golden brown. It should take about ten minutes for each side to be done properly. Once both the sides are cooked, remove from the pan and wipe off the excess oil and butter on a paper towel. Take a baking sheet and place the bread slices in a single layer on the same. Now broil it for about one to two minutes on each side, or till they turn a nice golden brown and are properly toasted. Make sure that they do not turn a dark brown color or become overly toasted or burnt. In a bowl, add the mayonnaise, the lemon zest, and three tbsp. of dill and ¼th tsp of salt and mix it all well. Now in a different bowl, add the crab meat, the onion and ¼th of the salt. Mix it well so that it completely coats the crab meat. Add two tbsp. mayonnaise in the mix of crab meat and stir it all together to coat the crab meat. Take the remaining mayonnaise mixture and spread it evenly on the toast. Next, add a layer of the crab meat mixture and add a final layer of tomato slices. Sprinkle the cheese on top. Broil the toast for about three minutes or till the cheese melts nicely. Once it is done, sprinkle with black pepper as per taste on top and add the remaining dill as garnish. Serve it immediately or while it is still warm. Place a big pan on the heat and add the oil. Once it heats, add the shrimp, the cumin, and the garlic. Sauté it for about three minutes or till the shrimp turns pink. Once the shrimp is properly cooked, take it out of the pan and place it in a bowl. Add the crab, the sour cream, and the green onions and mix it again to ensure that everything is coated properly. Use aluminum foil to line a baking sheet and place the tortilla chips on the same. Add the shrimp and crab mix on top of each chip and sprinkle with the cheese. Top the tortilla chips with jalapeno. Broil the tortilla chips with the mix for about two minutes and make sure you place them at least five to six inches away from the heat. Do it till the cheese melts. Serve immediately or while it is still warm. In a big bowl, mix the cut tropical fruits and all the other ingredients of the mango salsa. Mix everything well and keep it aside. Take a parfait glass and layer it with half a cup of shredded lettuce, a ¼th cup of lump crab meat and two tbsp. of sour cream. Keep repeating the layering in the same way till you finish up all the ingredients. While serving, place the sliced limes on top. Place a pan over medium to high heat and add the oil. Once the oil is hot, add the chopped bacon and cook it for a few minutes. Next, add the potatoes, the celery, the onion, the garlic, the chile pepper, the chopped thyme, the crab seasoning, salt and pepper as per taste. Stir everything and cover the pan, and cook for about ten minutes. Make sure to stir it occasionally. Now add the chicken stock and the milk and let it all come to a boil. Place a small skillet over medium heat and add the butter. Once it begins to melt, add the flour and keep stirring to avoid forming any lumps. Do this for about a minute and add the mustard. Stir together. Now add this to the pan in which the chicken stock is cooking and stir everything together. Once it all mixes well, add the corn and let the chowder start to boil and bubble. Once it starts to bubble over, reduce the heat and keep cooking it till the mix starts to thicken. Remove from heat and set it aside till it completely cools down. Now heat the oven to 425 degrees F. Take the sheet of pastry dough and cut shapes using a sharp knife. Place the pastry dough in a deep set bowl or shallow casseroles so cut the shapes accordingly. Place the baking sheet on a non-stick baking sheet. Beat the egg adding a splash of water and brush the egg on the dough. Bake it for about ten to 12 minutes or till it turns golden. Place the chowder back on heat and start to heat it up. Keep it covered as you heat it over medium heat till the chowder starts bubbling again. Now remove the cover and let it cook for some more time on simmer. Sprinkle the hot sauce on the crab meat and add it to the chowder. Keep stirring till the crab meat mixes in with the chowder and is thoroughly heated. Once done, pour the chowder into the bowls and add the pastry on top. In a bowl, mix the crab meat, the celery, the mascarpone cheese, the sour cream, the Dijon mustard, the lemon juice and the chives. Add the salt and pepper and give it a stir. Put the crab meat mix into the eggs. Serve immediately. How did you like these recipes? Did you try any of them? Let us know in the below comment section. 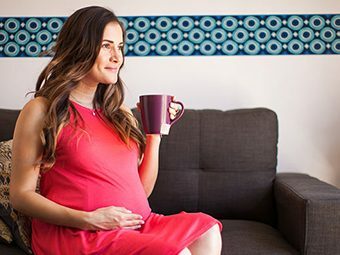 Is It Safe To Drink Iced Tea During Pregnancy? 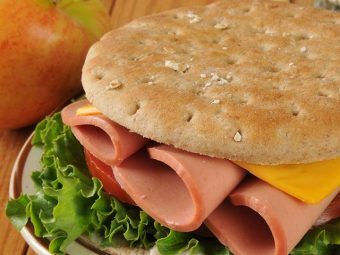 Is It Safe To Eat Bologna While You Are Pregnant?